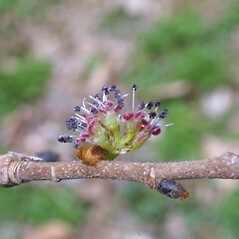 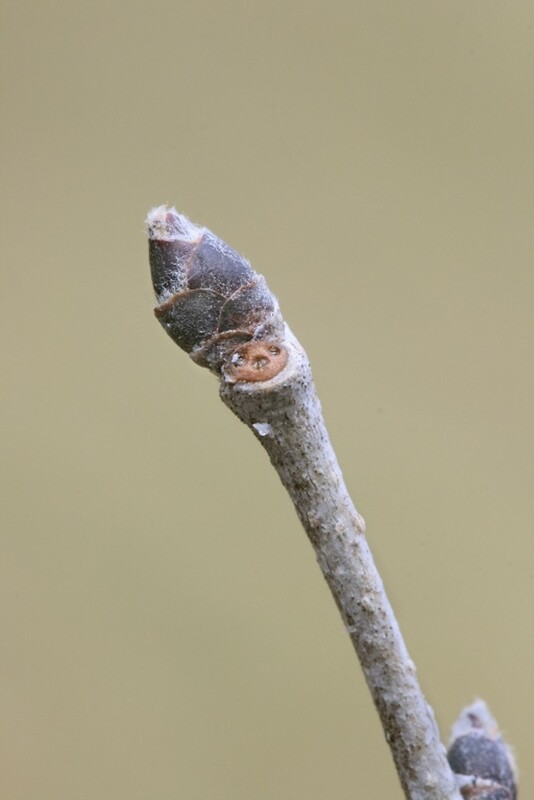 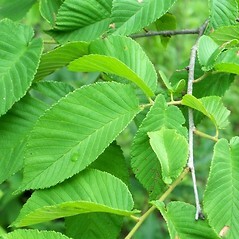 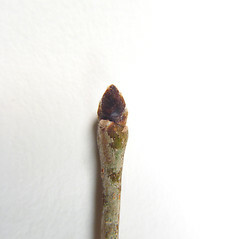 A denizen of moist, rich habitats such as floodplains (and occasionally limestone uplands), slippery elm gets its common name from the mucilaginous substance produced by its inner bark. 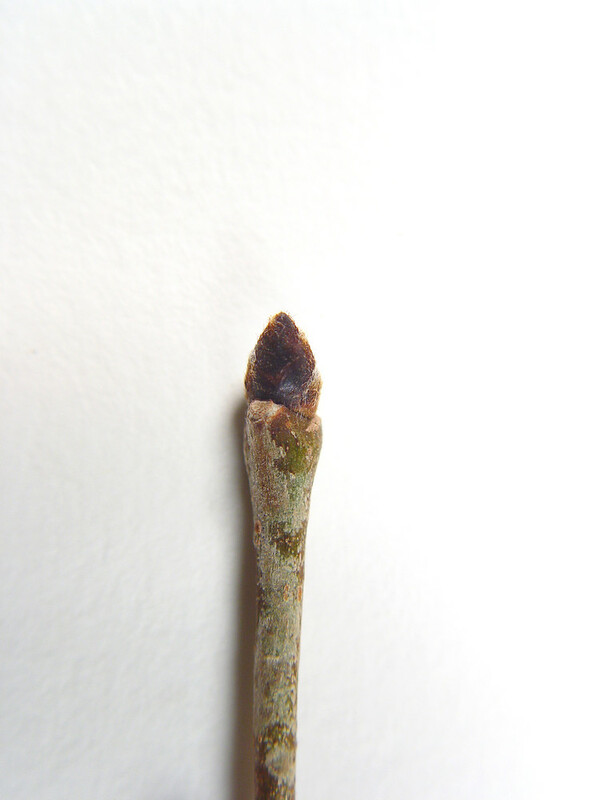 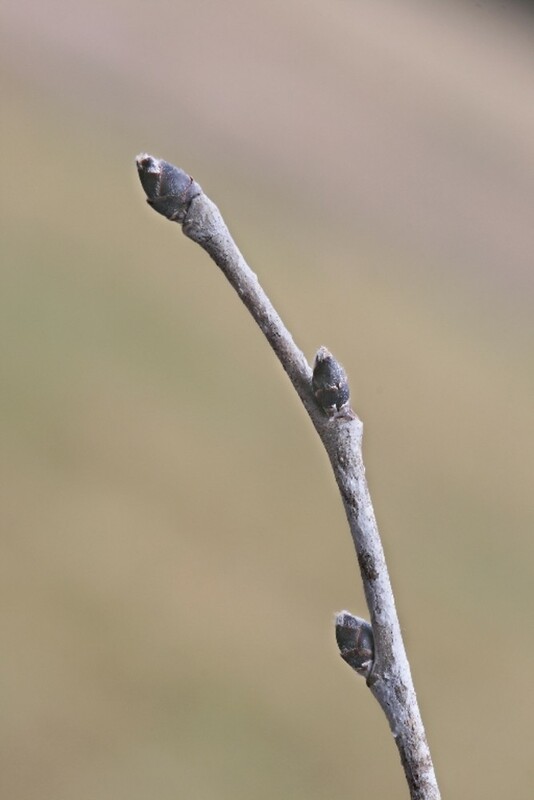 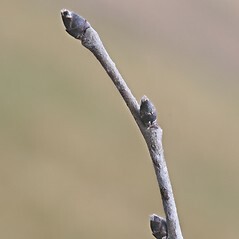 The species epithet (rubra) may derive from the fact that its winter buds are red. 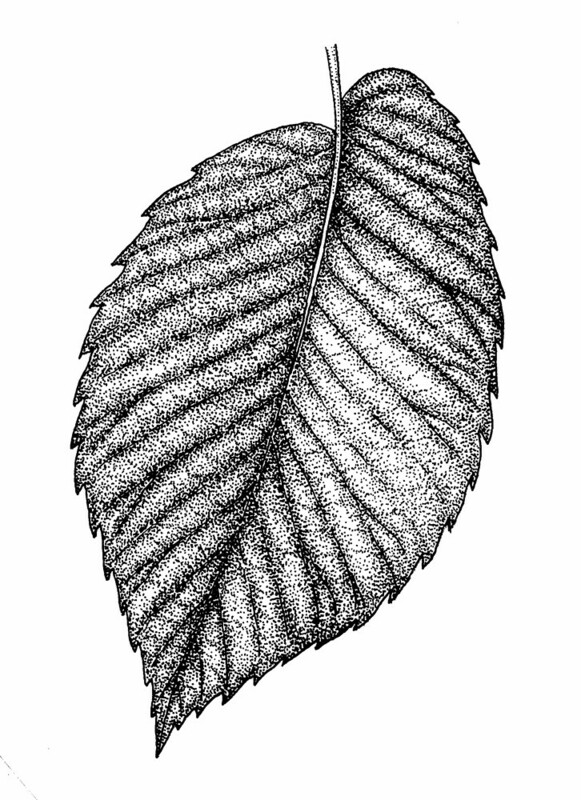 Look for small hairs (cilia) along the edges of the leaves. 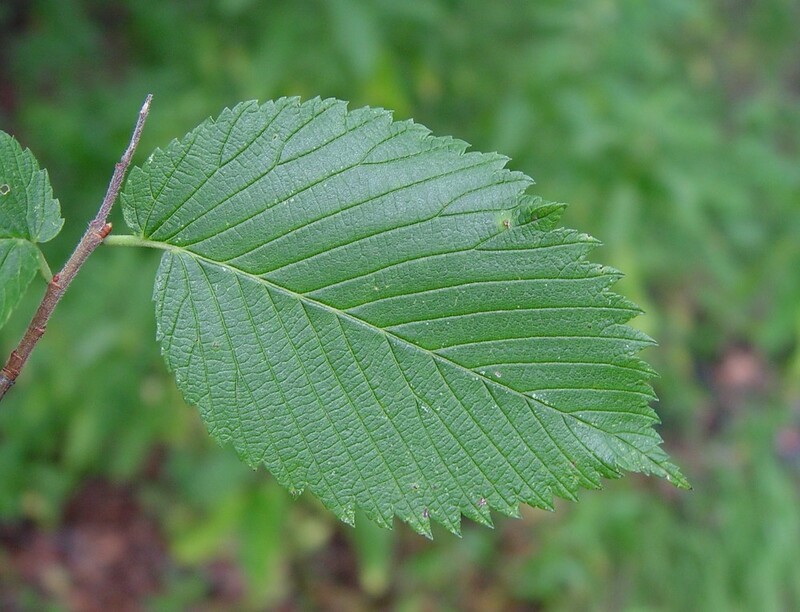 The slippery mucilage exuded by the inner bark of this elm is soothing for sore throats and other imflammation when chewed or brewed into a tea. 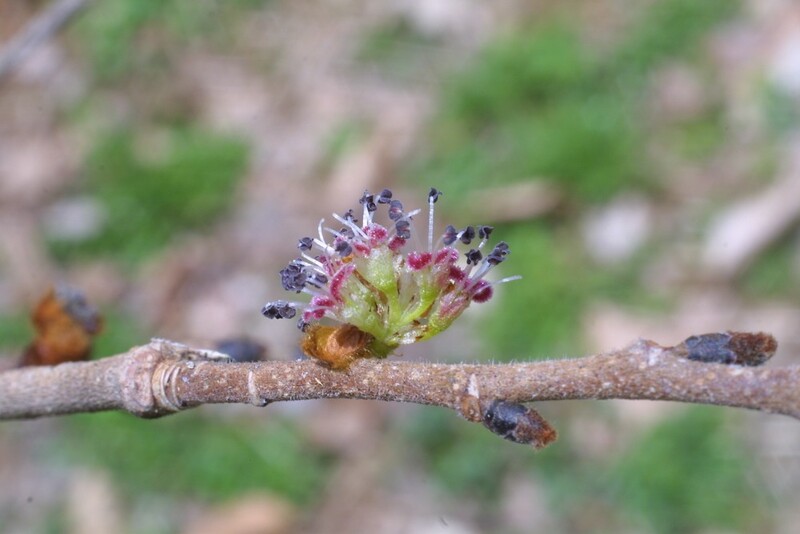 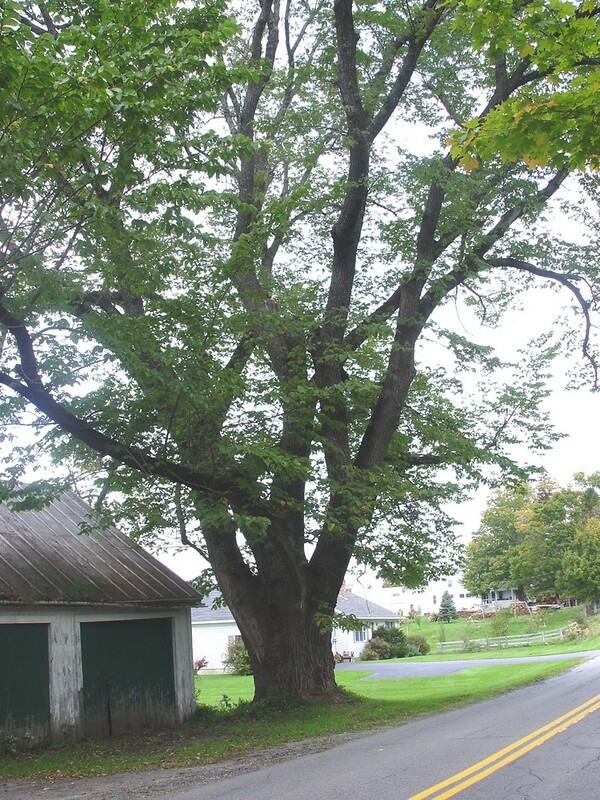 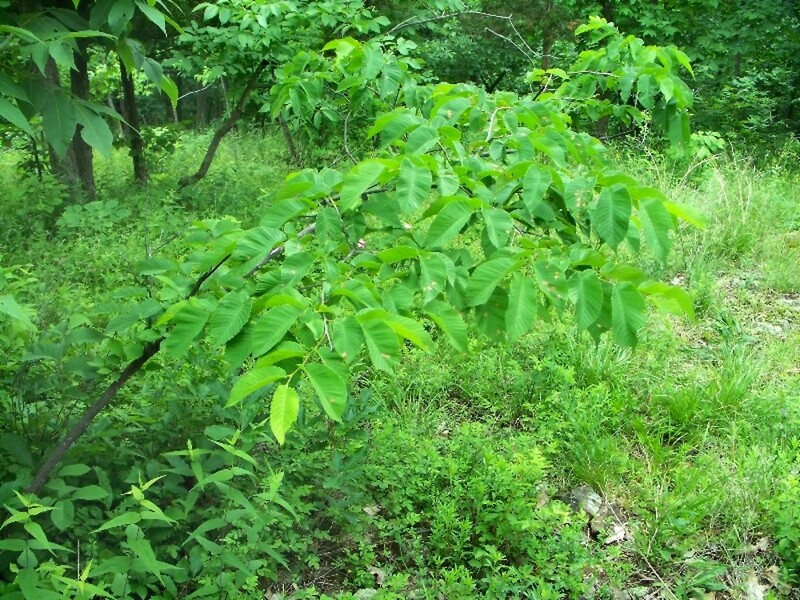 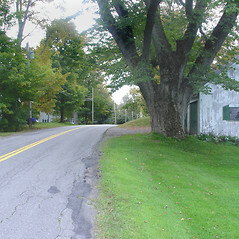 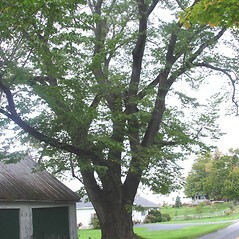 Slippery elm is not widely planted because it is less statuesque than American elm and is susceptible to Dutch elm disease. 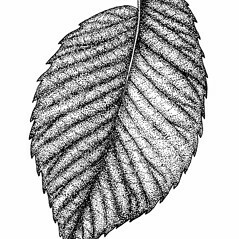 leaf blades without marginal cilia, winter bud scales red-brown to brown or dark brown, with white or pale cilia near the margins, and samara pubescent on only the central vein of wing (vs. U. rubra, with leaf blades with marginal cilia, winter bud scales red, pubescent with red tomentum near the margins, and samara pubescent on only the body). 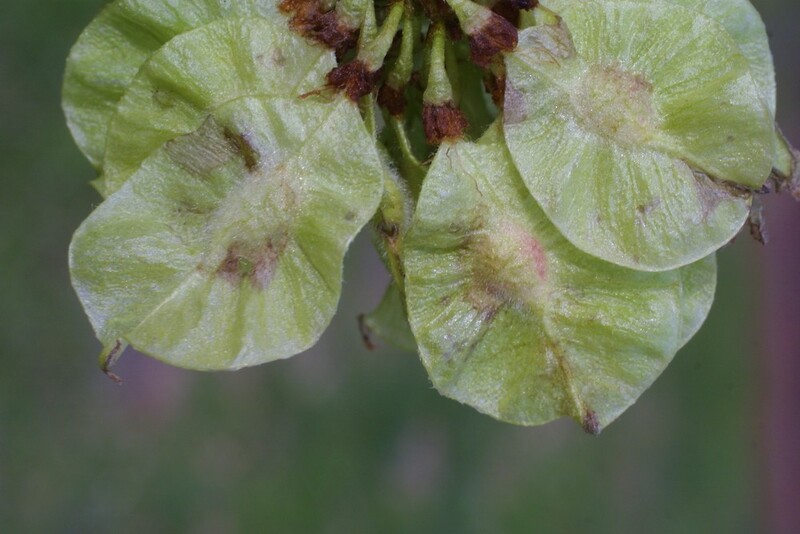 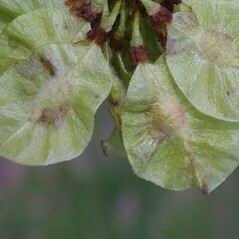 leaf blade with usually no (infrequently with 1) lateral veins forking well before reaching margin and wing of fruit with marginal cilia and lacking hairs over body of seed (vs. U. rubra, with leaf blade with usually 2 or more lateral veins forking well before reaching margin and wing of fruit lacking marginal cilia and hairy over the body of seed). 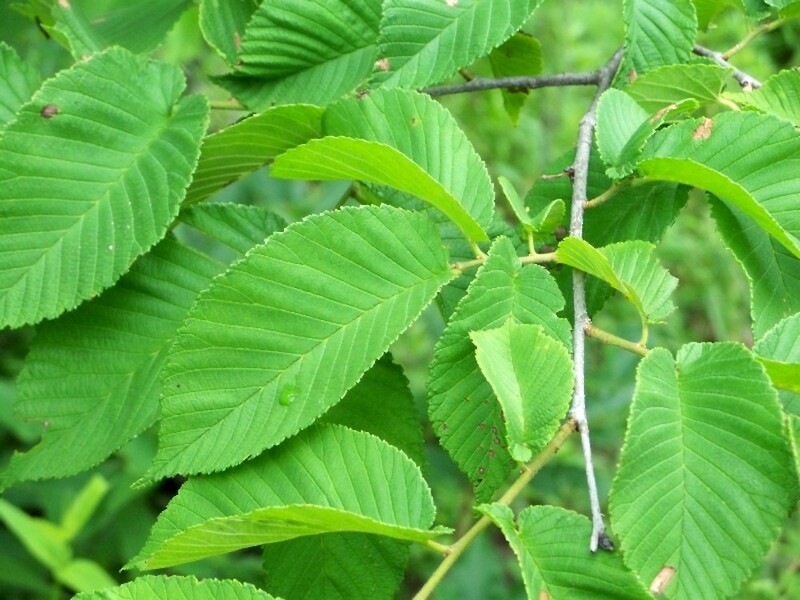 slippery elm. 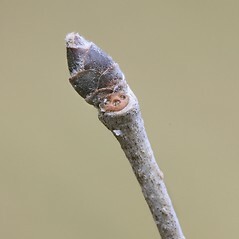 Ulmus fulva Michx. 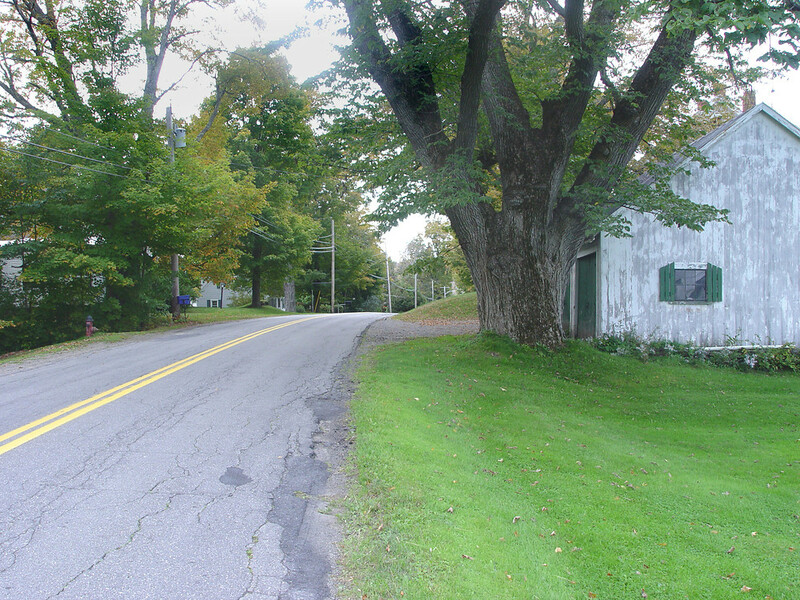 • CT, MA, ME, NH, RI, VT; absent from much of ME. 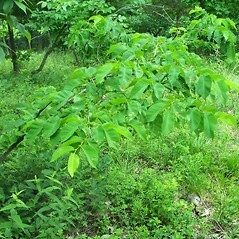 Rich, deciduous and riparian forests, rocky slopes. 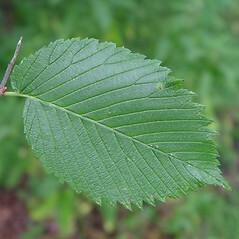 Ulmus rubra is sometimes confused with U. americana when collected later in the growing season (i.e., when vegetative). 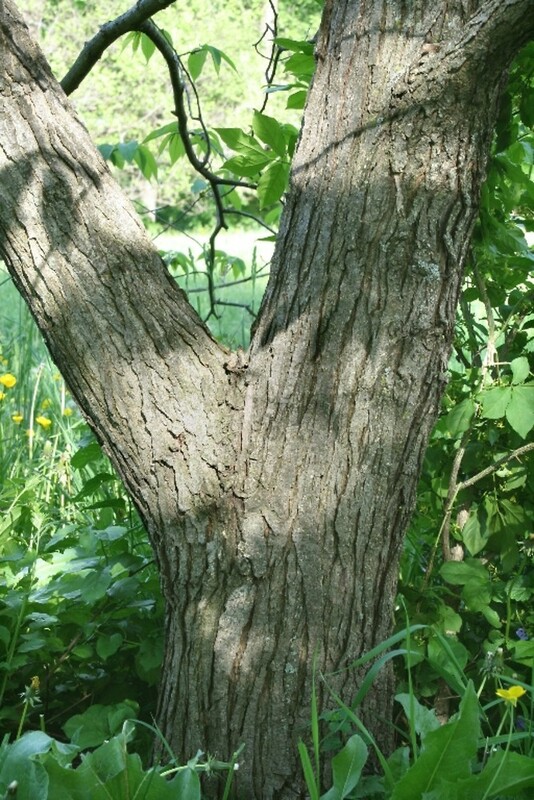 The outer bark is a useful character to separate these two species. 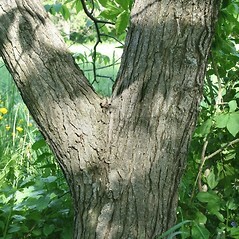 The outer bark of U. rubra has contrasting light and dark layers when viewed in cross-section, that of U. americana does not.